HR80W-02, designed specifically for indoor use and commercial applications(Linear light, linear high bay,troffer, track light), to operate general Linear Lighting Fixtures. 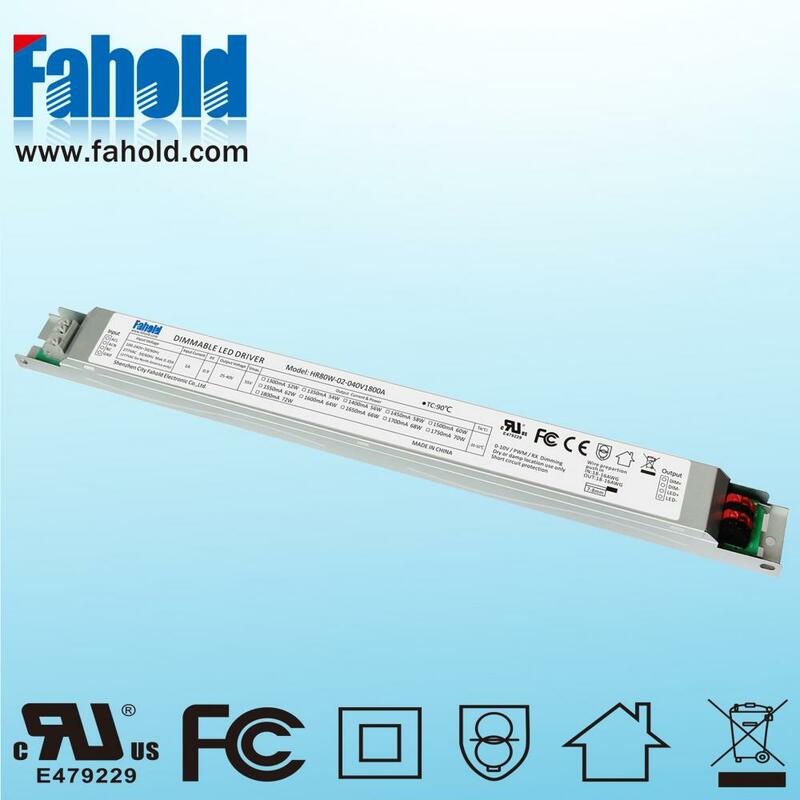 Flicker free 0-10V dimming LED Driver 80W 1800mA(High efficiency linear driver), with wattage range of 60W to 80W ,UL,FCC,CE compliant, wide voltage output of non waterproof design. The units are suitable for Linear lighting. Other standard features of the range including 100-100-277V , protections against short circuit, over load and thermal to 110 °C, across the whole surface of the unit.